I honestly expected to see more, and better netbooks at CES. 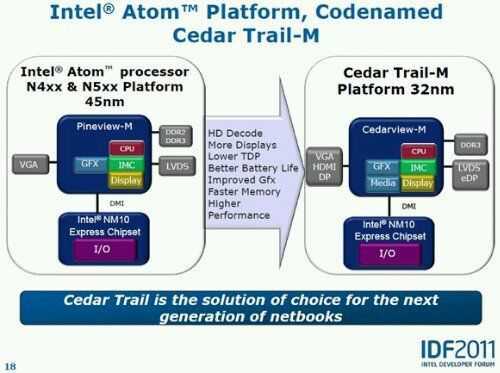 The Cedar Trail platform is a solid one and there’s absolutely no reason why netbooks need to fade away because with a bit of a re-design (thinner, SSD, better connectivity, hi-res screens) they could still control a good segment of the market. Gigabyte has upgraded the netvertible with the T1006M but again, the design remains thick although credit to Gigabyte for offering easy upgrade ports for memory and hard disk, a high-res screen, pre-wired 3G antenna and a capacitive touchscreen. 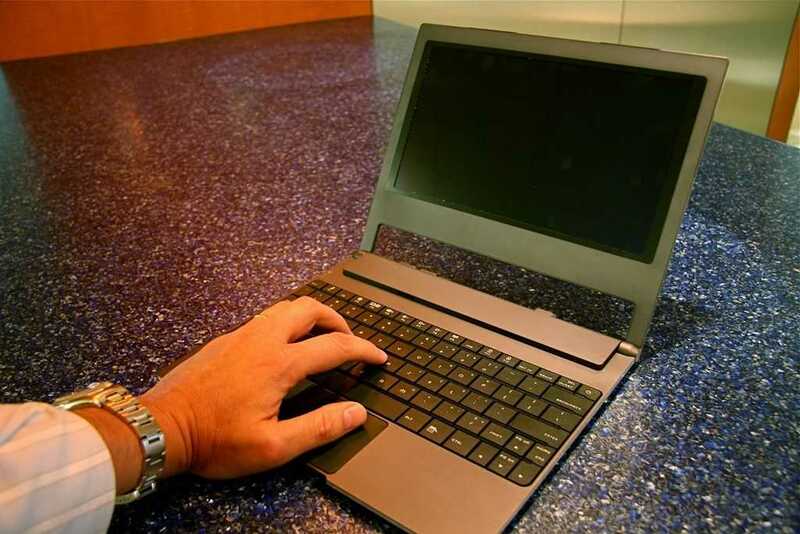 The only small laptop-style device I did see that was pushing the boundaries was the Novero Solana. An SSD, convertible touchscreen and 3G are on offer here but there’s no indication of battery life or price yet. Availability is said to be Feb 2012. My feeling is that by reducing focus on netbooks, some manufacturers will be missing an opportunity to offer very lightweight, low cost sub-ultrabooks with SSD, high-capacity sealed batteries and other features that the ultra-mobile user could benefit from. Right now though, it looks like laptop manufacturers have dropped everything for Ultrabooks. 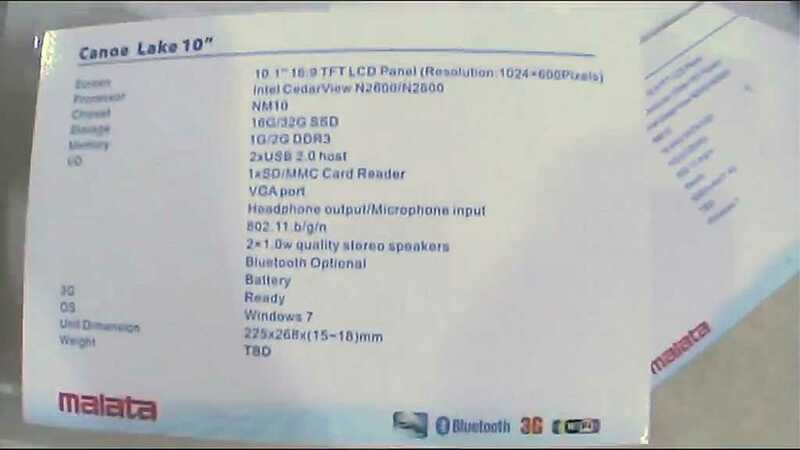 Check out the videos below though for a look at the latest netbooks and don’t forget there’s the Lenovo S110 (10 inch) HP Mini 210 (10.1 inch) and MSI Wind U180 (10 inch) that are going to be available with Cedar Trail too. We’ll get all these in the database. Cedar Trail Netbook Delays. Are You Waiting? 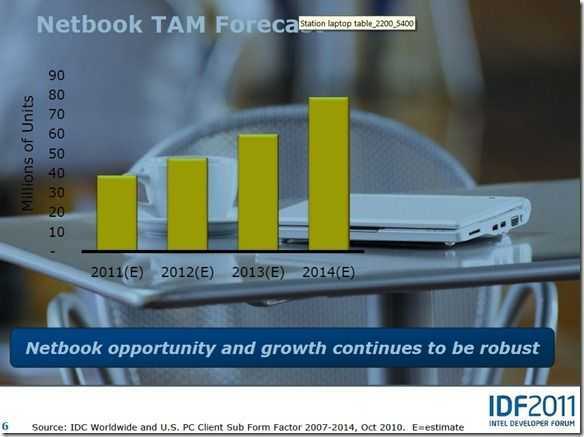 Despite all the fuss about Ultrabooks and Tablets there’s still a significant market for netbooks out there as small, low-cost ‘just enough’ laptops. Developing countries, students, secondary laptops, travel laptops or simply the lowest cost laptop possible, the Netbooks are a valid choice. With the next generation, using Cedar Trail as the CPU cplatform, it gets even better with significant improvements to 3D graphics that should smooth-out quite a few Windows 7 and application experiences. 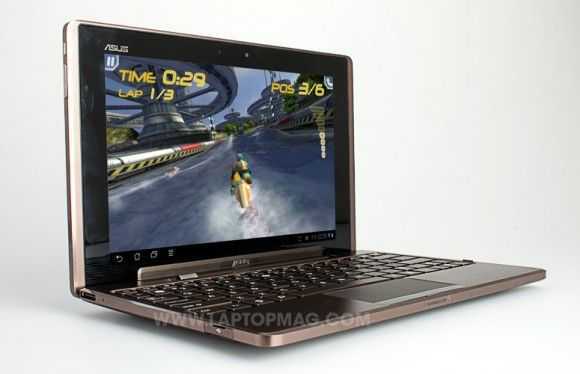 There are improvements in efficiency too that could enable some lighter 10″ tablet formats and thinner netbook designs. Expect Ultrabook-style devices too with SSD’s, sealed designs and of-course, a much lower price than the current Ultrabooks. But Cedar Trail is delayed. . .again, apparently because the graphics driver certification hasn’t been completed. 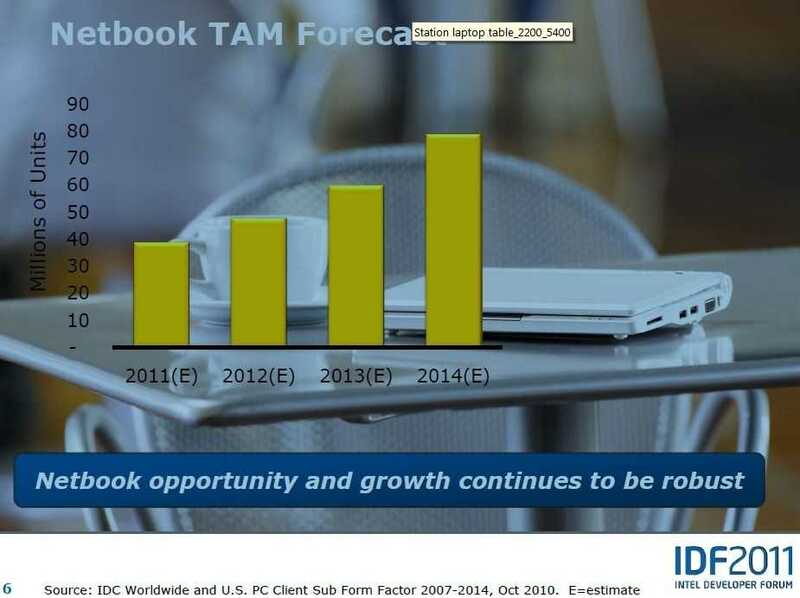 In the meantime AMD Fusion netbooks push further into the market. With Oaktrail-based devices not quite hitting the mark where consumer experience is concerned, [where are those 1.8Hz Oaktrail options?] it’s important that Cedar Trail reaches the market as soon as possible. 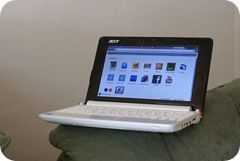 Anyone waiting to buy a new Netbook? 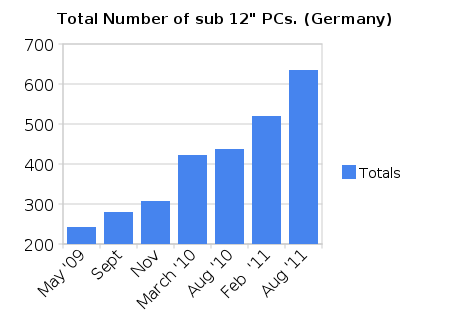 Would you like to see more Netbook coverage here? We will be at CES in Jan so we’ll get some details of new models, performance and availability then. In the meantime, check the related links below for some more Cedar Trail background. Posted from the Galaxy Tab at Droidcon NL. Jakub contacted me yesterday via the CCC email account with the first of the CCC2011 challenges. It’s a very typical one to start off with and will probably fit many peoples requirements too so lets start with the first of our tailored buyers guides for mobile computing solutions. Via a number of emails we’ve determined that Jakub would like a device that could be kept in a bag all the time. It would be used occasionally for work and personal tasks, needs 3G and importantly, needs to be able to access the full internet experience with no need for zooming and panning. A battery that can last 2 days without charging on light usage is also important. I’m interpreting the ‘bag’ requirement as something between 7 and 10 inches, 500-1300gm. We’ve got a problem on hour hands here. Its the common trade-off between full internet experience which is still only available on the X86 platforms using desktop browsers, and long standby life. However, we’ve got a loophole to get through because Jakub is likely to be happy with quick return from standby as opposed to always-on. 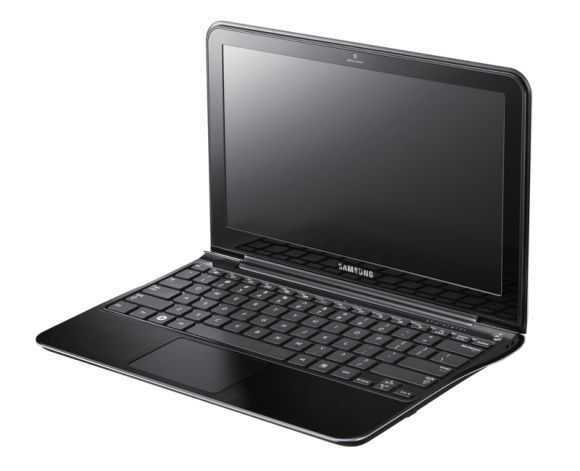 Immediately I’m thinking of the latest Samsung netbooks with their quick start and long standby support. With a full SD card slot it helps for photography and they have great screens. If the Toshiba AC100 with 3G had been fitted with a quality software build that might also be a solution although it’s available for under 200 Euros with 3G so might be worth a test. Based on the web requirement though, I’m going to rule out the rest of the Android tablets and smartphones. That’s unfortunate because the Galaxy Tab would have been high on the list. The iPad too. The original 3G+16GB version is available for under 500 Euros and at Argos in the UK right now, it’s only 418 Euros. My feeling is that you’ll still hit issues with websites but that’s a great price for a great mobile computing device and you’ll certainly have fun with it. The docking station requirement is a good one. There isn’t another accessory that improves the range of usage of a tablet more than a dock and since my first ultra mobile PC in 2006 I’ve been a fan. The MSI Windpad 110W might be a device to check out. It’s a tablet but it’s got an important feature â€“ mouse pad. That improves Windows/Tablet usability a lot. Pre-order prices for the 3G versions are heading towards 600 Euro, slightly above the price range but with the included GPS (according to my specifications) it would be possible to add something like Mapfactor Navigator 11 or even their free product. The dock is going to add to the price though but might be something for a later date. The Acer Iconia Tab W500 is another one to consider in that vein but as far as i’m aware, it doesn’t have that important mouse pointer/pad. 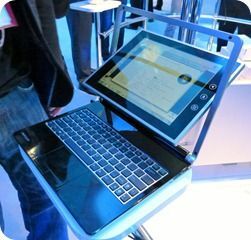 If you want a high-end Atom tablet at under 900gm, look at the Gigabyte S1080 with N570, 2GB RAM, USB 3.0, 3G and keyboard case. It’s expensive though! Finally, I’m going to call out the Viewsonic Viewpad Pro. It’s coming soon and it’s going to be one of the first Oaktrail devices in Europe with 3G for under 700 Euros. 650 Euros is the street price right now but with SSD, 3G, 2GB of RAM, 870gm weight and the Intel Oaktrail platform, it could return some excellent battery life, even in always-on mode. Your reliable, good value choice is going to be the Samsung N150 Eom 3G (Eom is the name in Germany, it could vary in other EU countries.) 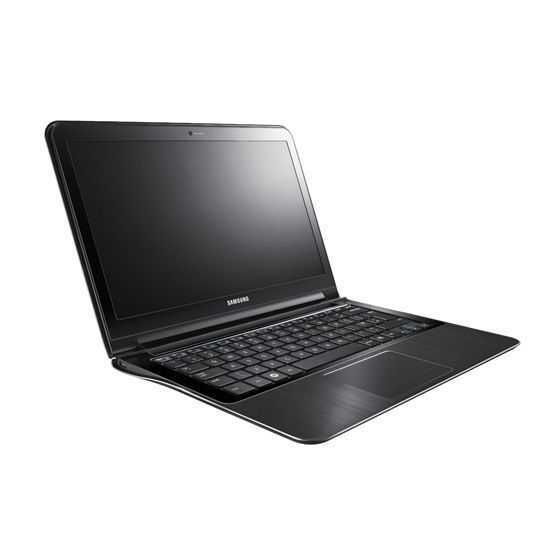 At 350 Euros for a 3G netbook, it will cover all your angles apart from navigation. If you fancy waiting a bit for a modular solution, do so for the MSI Windpad 110W. With 3G, GPS, the mouse pointer and the dock, it could be one of the most flexible, general use tablet PCs around. Don’t forget it has Windows Home Premium, 2GB of RAM and a nice 1080p capability. 2 years ago, something like this would have cost 1200 Euro! No full SD card slot. No full reviews yet. Above budget. 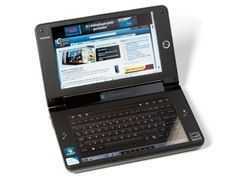 A low-cost choice and Android experience would be the Toshiba AC100 with 3G which can be picked up dirt cheap. It’s not business quality but there are marketplace hacks out there that could be fun to test out. The web experience won’t be as good as on the Windows-based devices here. No GPS. Test well before buying! Another one to check out in the next few months would be the Viewsonic Viewpad 10 Pro. It should have better battery life than the Windpad 110W but doesn’t provide as much processing power. For occasional use it might be fine. No full reviews available yet. Above budget. Long-shot choice. I haven’t mentioned this yet because there’s no indication that it’s coming to the market but keep a close eye (and Google search for the VX70S-001. What is it? It’s the product code for the new Viliv X70 Slate with Oaktrail. Price is highly likely to be above 500 Euros but with SSD, GPS, long standby and the full internet experience, it’s just what you and many others are looking for. No 3G. No reviews. No idea when and for how much it’s coming. Also look at the original iPad with 3G, the Gigabyte S1080 (high-end Atom-based spec) and Acer Iconia Tab W500 and keep an eye out for cheap and sales of the Nokia Booklet 3G. 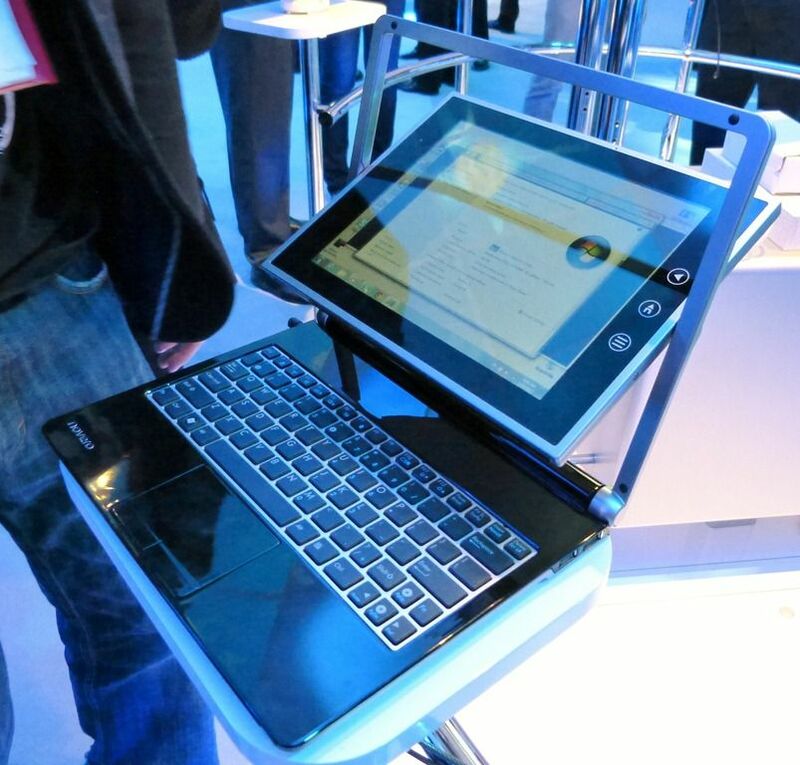 There’s promise in a few 7″ Intel Oaktrail tablet prototypes (e.g. 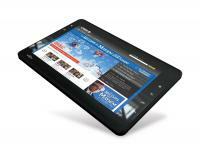 the X70 Slate, ECS 7″ Tablet) we’ve seen at shows buy as yet, none have reached the market. They could be worth waiting for though. And finally, look in the comments below. One of the great things about this website, even if I do say so myself, is the quality of the commenters. Keep those requests coming via the CCC2011 email address. You don’t have to buy a Chromebook to get Chrome OS. Using the Hexxeh open source Chrome OS builds, Lars F. JÃ¸rgensen built a Chromebook out of an early netbook, the Aspire One A110. With netbooks in Europe dipping under 200 Euros occasionally now (here’s an offer for a current Acer D255 at Amazon, Germany â€“ my Affiliate link) it doesn’t have to be old or expensive either. I’ve posted the article over at Chromebook News as I feel there’s limited ultra-mobile capability in it but it’s interesting to think of Chromium, the browser, on something like Ubuntu or Meego that may not provide the support-free software layer but would provide all the local facilities needed and, as time goes on, some extended power-saving features too. Many thanks @faarborgs for this guest post. Let’s say you need a UMPC. It’s not as uncommon as some people think. It might not be the consumers cup of tea but in industry, mobility counts for a lot. Logistics, amateur pilots, health industry, blue-light industry, traveling geeks and other situations where full capability, compatibility and flexibility in the smallest package is key. The problem is, if you need a ultra mobile PC today, what the hell are you going to buy? Lets put down a little wish-list for the sake of the argument. Sub-1KG, Windows 7 support, 5hrs battery life 5-8.9 inch screen, easy conversion to keyboard/screen device. Price under $1000. The shortlist I would recommend right now would be the following but they are all ‘last-gen’ UMPCs, at least a year old and going out of stock, and probably entering the end-of-life phase. UMID Mbook SE â€“ Thx to Gearsguy for the information on the availability and videos. I’ve included one of the videos below. If you need a keyboard, the Mbook SE, UH900 and N5 are worth a look. The Archos 9 is good value at under 450 Euro right now and the X70 is a great performer. Isn’t it underwhelming that these devices are all over a year old though. One device I took a second look at was the Toshiba Libretto W100. Originally this device was available for 1100 Euro. Today, it’s under 600 Euro in Europe making it an interesting option because of its CPU – Pentium Dual-Core U5400 with 2x 1.20GHz that comes in at about 130% the processing power of a high-end dual-core Atom part. It also includes 2048MB Ram and a 62GB SSD. This is certainly an ultra mobile workhorse but the design and battery life are going to be issues for some. 3hrs isn’t that exciting. Interestingly this could make a super ultra-mobile video editing platform. This dearth of options in this space is because of two things. Firstly, Menlow is out and Oaktrail isn’t yet in. There isn’t really another platform to think about right now although I’ve got my eye on AMDs Z-01 We’re going to have to wait for a set devices on Oaktrail for another few months. The other issues is the 10 inch tablet craze. It puts designs at around the 1KG mark and limits usability. The Viliv X70 is one to keep an eye out for but based on the silence from Viliv, I’m guessing it’s not close to being available yet. 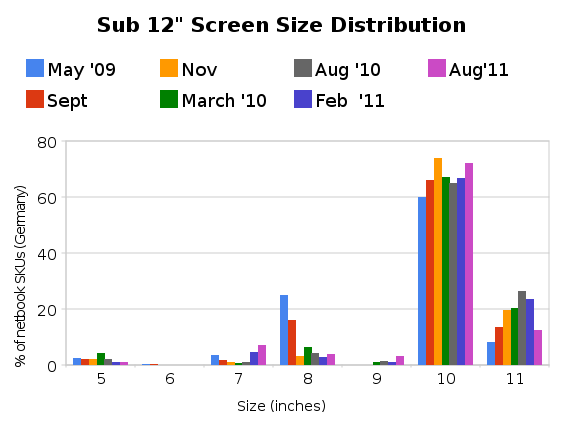 Netbooks, starting at about 1.2KG (2.6lb) and large-format Windows tablets (again 1.2KG when a keyboard is added) along with 5~ and 7~ Android tablets and the iPad2 all need consideration. Even the >4 inch Android phones with the latest CPUs. As Meego filters in, keep an eye on that too as it spans mobile and desktop environments. Finally, Honeycomb and WebOS are operating systems to watch. Personally I have high hopes for Honeycomb as one of the more flexible operating systems to cross-over into a productive and flexible environment and that could happen on either ARM or Intel. Oaktrail â€“ Intel’s Z6xx series. We’ve seen it running Windows, Android and Meego already, it will run Chrome OS and there should be forward compatibility with Windows 8 making it, in my opinion, one of the most interesting ultra-mobile platforms out there right now. Intel builds of Honeycomb and Meego should be able to squeeze more battery life out of it too. There’s a 2X graphics improvement over Menlow (GMA600 vs. GMA500) and even hardware 720p video encoding which could speed up video rendering. At 1.5Ghz, it’s not the most CPU-powerful platform but Intel have already talked about 1.8Ghz versions and I’m sure, if the platform becomes popular, we could see dual-core versions too. Why Oaktrail and not Cedar Trail? Because it’s got power management capabilities that Cedar Trail hasn’t got. Sandy Bridge in ultra-low-voltage guise is very interesting. I recently tested an AMD-E350 based Lenovo S205. It was good. It’s TDP (CPU+GPU) is 18W and the CPU performance is high-end Atom level. Sandy bridge, on the other had also comes in 17W TDP variants but the CPU performance on these simply blows Atom, E-Series Fusion and even first-gen Core parts out of the water. with around 5x the CPU performance of an Atom CPU along with some good GPU performance. Price is high as we’ve seen with the Samsung Series 9 but that devices comes in at 1.3KG with 6hrs of battery life and serious compute power. It’s a sign that Ultrabooks could push down in to even smaller and lighter designs. Today I sold my last netbook / laptop. Over the last few months I’ve been having a clear-out and now I’m left completely without any sort of mobile productivity device. It’s a nice position to be in but it’s going to be a tough decision. Right now I’m favouring the Samsung TX100 / Gloria / PC7 Slider on Oaktrail because I’m interested in Oaktrail performance and multi-OS scenarios. I’m worried about the CPU performance though. I’m also looking carefully at that Toshiba W100/W105 show above. I think I can run PowerDirector video editing suite on that and get some usable 720p rendering speeds that should be 2x what the Oaktrail platform can produce. 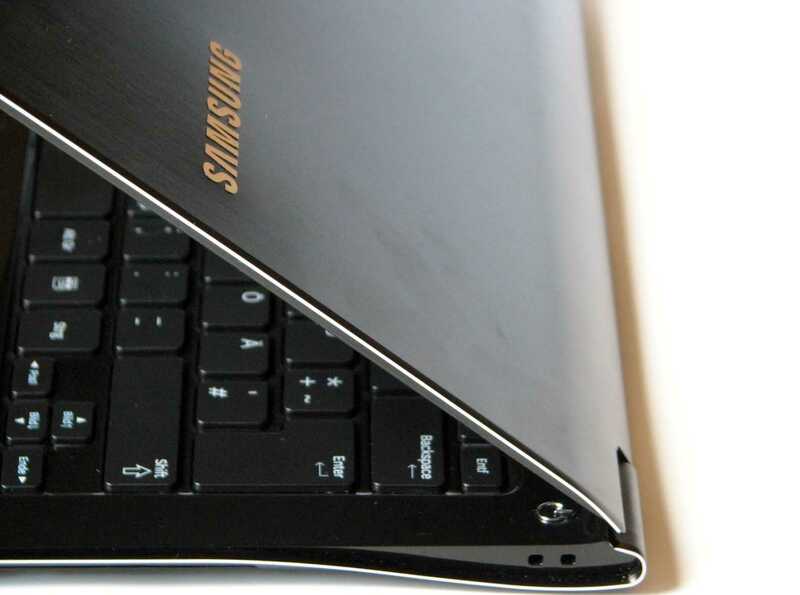 Finally, Samsung have another very interesting product in the Series 9 laptop on Core i5 Sandy Bridge. It’s an expensive item but a real mobile workhorse. And why am I looking at all these laptop-style devices? Because after spending 7 months with the Galaxy Tab I’ve found that there are fewer things I need to do on a laptop now and those things generally involve high-productivity working with Video, Images and multiple windows. The 7 inch tablet has filled a great position but along with my new requirement to product 720p videos, has pushed up my requirements for a laptop. 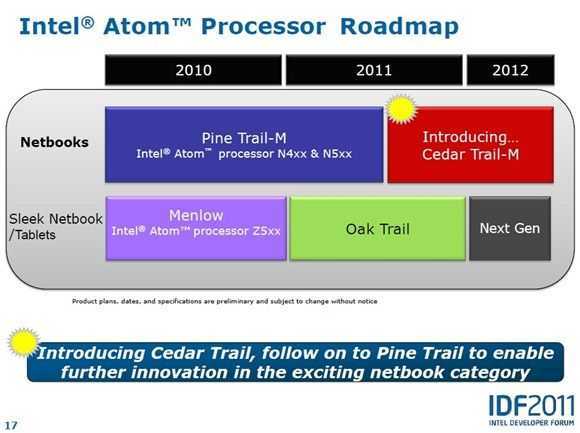 A year ago, Intel teased us with a reference design build on top of a PineTrail CPU. Canoe Lake was a stunning looking netbook but alas, only a reference design. This year though, that could change. Malata are offering it up to their customers. As you can see though, Malata will build it with the new Cedar Trail platform using the N2600 and N2800 CPU parts. The price, weight, timescale and finer specification details are still unknown but we’ll be tracking this and bringing you the latest soon. Expect a tracking page up in the product portal later today. JKKMobile spotted this and has a video, embedded below.